A 1974 University of Georgia release, Climax has an upright, "open" growth habit and intense green foliage. An early season variety with a very concentrated ripening period makes Climax a great choice for home freezing. 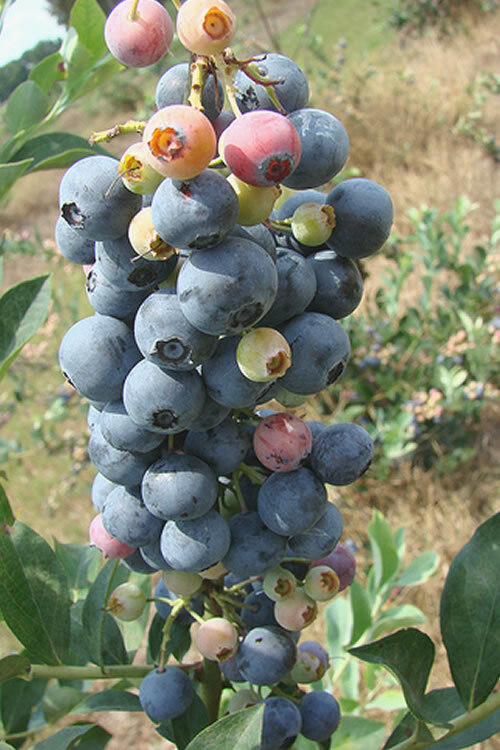 It has medium size berries that are light medium-blue, with an excellent, "spicy-sweet" flavor. 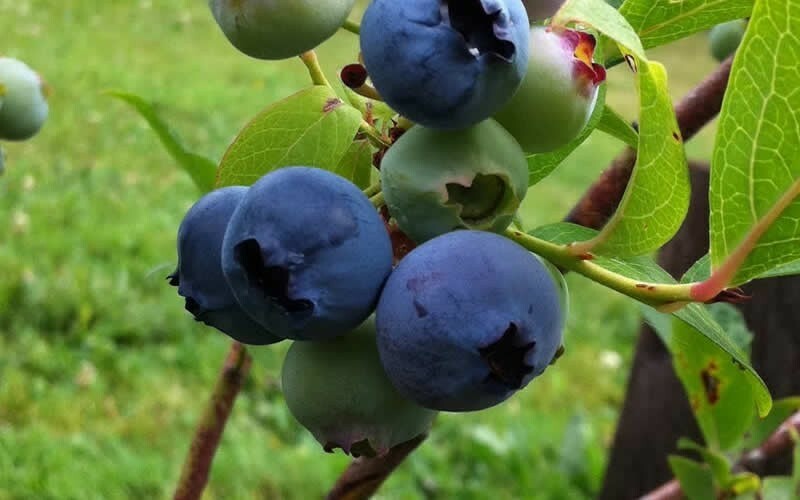 Along with its consistently heavy yields of very firm berries and small stem scars, Climax is one of the best blueberries for mechanical harvesting / commercial use. However, because it ripens early and flowers early, Climax can potentially be at greater risk for having problems in years with unusually late frosts/freezing. 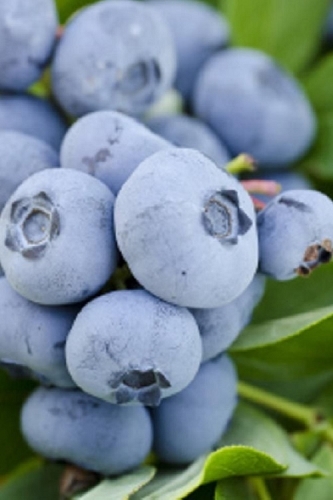 Q: How old are the blue berry plants ? 1 year? 2 year? 3 year? All of our blueberry plants are grown and shipped in their pots. It is impossible to know the exact age of a blueberry plant growing in a nursery pot of any specific size. 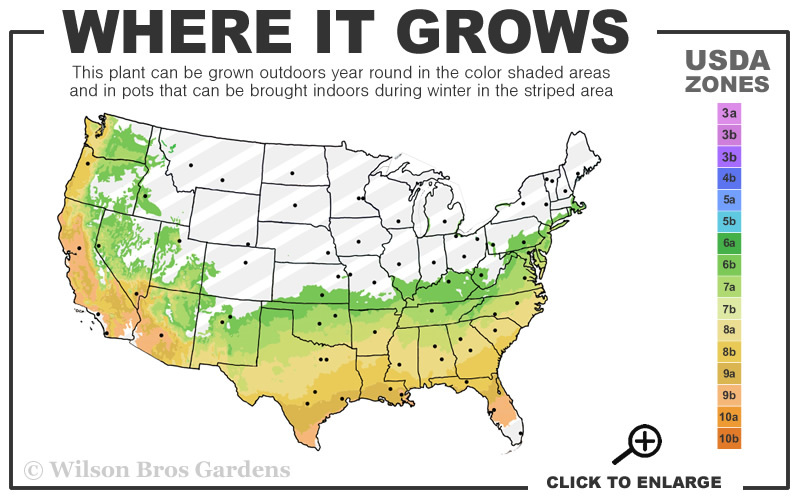 This would depend on how long the plant has been growing in the pot; whether it is a "new crop" or an "older crop." That said, below is the approximate age of blueberry plants growing in various size nursery pots.